Personalize your own Blast! mini-labels at home. These labels were specifically designed to fit perfectly on the Blast! flyers and can also be used as return address labels on outgoing mail! 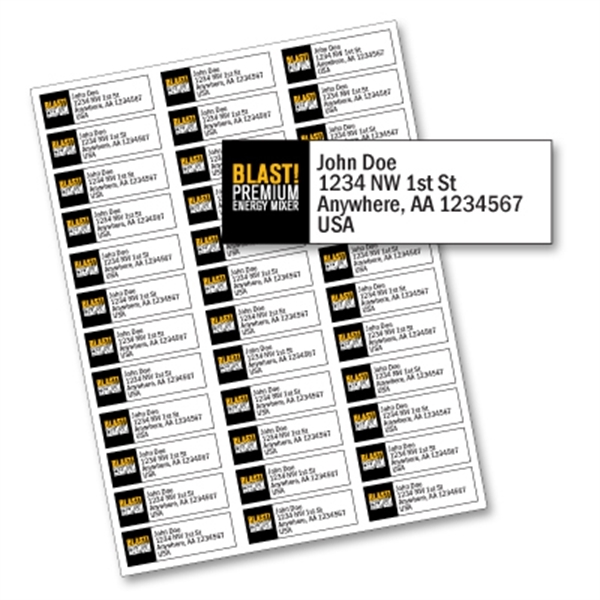 There are 36 labels per sheet for a total of 900 labels per pack. For best results, use a laser printer.